I was invited by Emily over at The Great Wide Open to take part in this “Writing Process Blog Tour” and figured it was a good way to get back in the writing game and do a little explaining of what’s going on over here. I met Emily at one of the Boston Bloggers events and even made a guest appearance on her blog last year when I taught her a few massage tricks. So at this point I’m rethinking my Great 2014 Blogging Project. If you’ve been around the first half of this year, you may know the one. A new theme every month, trying to dive deep into every theme. I liked doing it for a while. It was a way to structure everything and keep my ideas organized. But then, of course, life got in the way and there just wasn’t enough time to plan everything out because – surprise! – something like that is time consuming. Who knew? Having themed months was also limiting. I’d get offers to write things and I’d have to turn it down because it didn’t work with the theme, which was frustrating. The thought of planning out the next month on my list, which was supposed to be Performing Arts, got to be so daunting that I kept putting it off. This blog doesn’t bring in the big bucks. Or, you know, any bucks. But I do feel an odd responsibility to deliver. And deliver I shall! But not with a monthly theme. Freestyle. All the fun, free, making-the-most-out-of-Boston type stuff as it comes to me. 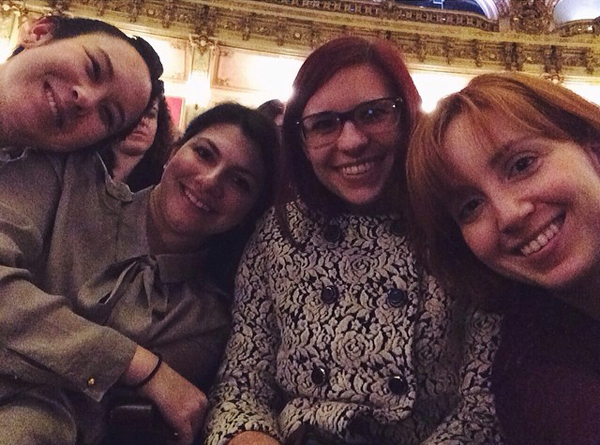 Opera one week, food festivals the next. It’s gonna get ca-razy up in herrrrre. I’m also working on adapting to this new schedule which is harder than I thought it would be (considering my “Free Time” almost doubled) but I’ll get there. Oh and the wedding, still planning that. I like to think my writing has a good amount of my personality in it. I want readers to know that there’s a human behind this keyboard and not a Boston Tourism Robot. I write about Boston because, and this may come as a surprise, I really love Boston. Always have. I grew up an hour north and visited often as I was growing up, finally moving here for college. I also know it’s easy to get in a rut of doing the same old stuff and not really getting out there to explore. I want to inspire fellow Bostonians to get out there, seek out something fun, play tourist for the day, and learn something new. I keep Post-It in business. I have sticky notes on sticky notes. They’re color coded. They’re on the wall and on my monitor. Basically, if I don’t physically write something down it will leave my brain forever never to be found again. So the first step in my blog process, culminating ideas, all happens on Post-It notes and notebooks. Then, I do a bit of research using the ol’ Google box. I schedule, and then comes the tough part – actually getting off the couch and doing stuff. I know, that’s my whole mantra of the blog – get up and do something. But it can be difficult! It involves changing out of pajamas and brushing my hair. Who wants to do that? Nobody. But it’s worth it. I rarely take notes when I’m out and about doing stuff, as I have a pretty good memory for details. I do try to write about things as soon as possible while the experience is still fresh. The writing part generally comes easy to me once I have caffeine in my system. Once the post is written, I let it decanter like a fine wine (really, its because I won’t notice typos and huge grammar issues right away and I have to come back and reread later if I want to actually edit). 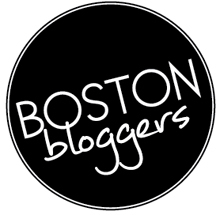 Now I’m passing the process tour torch to three lovely ladies I’ve met through the Boston Bloggers network. Alex of Literally, Everything just got married and ran the Boston Marathon within two weeks so I’ll never complain of being busy again. Ana of Scavengenius came to Boston from Brazil (by way of New Jersey and Georgia) and has the most precious accent in the world. Janee of Yellow Bird, Yellow Beard is following her passion by going back to school in order to make me piles of delicious gluten free, dairy free baked goods.